Create amazing customer experiences with Solodev. Ideal for small development projects, Solodev DCX Enterprise Edition - Lite for Linux gives you best-of-breed features and advanced capabilities all on a single web server. Available on-demand with convenient hourly billing or annual options. Solodev is the Digital Customer Experience Platform for AWS. Built from the ground up to leverage the power and scalability of AWS services, Solodev is a cloud-first enterprise content management system (CMS) and customer experience platform that lets individuals and teams collaborate on their digital transformation. 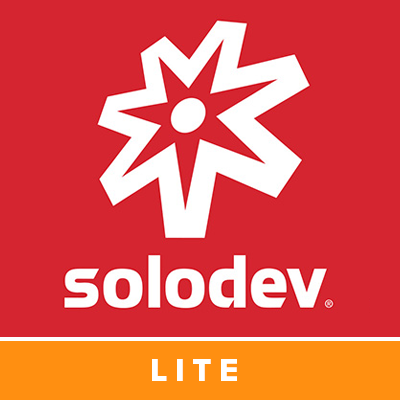 Easy to use for non-technical content marketers yet robust enough for ambitious developers, Solodev lets everyone work together to launch your most inspiring ideas. Create rich, enterprise-grade websites that engage and convert. Share comments and review ideas. Run content operations with little or no code. Build complex, API-driven applications like eCommerce shopping carts, inventory systems and more. Customize advanced integrations with best-of-breed software and IoT devices. Get access to training and U.S. based support. With Solodev, the customer experience is yours. Solodev DCX Lite Edition for Linux: The perfect launch pad for small development projects, giving you optimal control in a streamlined package. Get best-of-breed CMS features, access to PHP, Apache, MySQL, and Mongo all on a single web server. Fueled by the rock-solid redundancy, security, and scalability of AWS, Solodev integrates with the most essential cloud technologies in the AWS stack, including AWS CloudFormation templates, Amazon Virtual Private Cloud (VPC), Amazon Elastic Cloud Compute (EC2), Amazon Simple Storage System (S3), and Amazon CloudWatch. Cloud-first enterprise CMS and customer experience platform designed exclusively for AWS. Convenient hourly billing or annual options available. Collaboration: work together with everyone on your team - from marketing to development - to build websites, share comments, review code and publish ideas. Advanced functionality: build custom applications and third-party integrations with advanced capabilities, including eCommerce shopping carts, career portals, and more.